Revinate’s user-friendly software platform, custom-designed for the unique needs of the hospitality industry, helps hotels improve the guest experience. 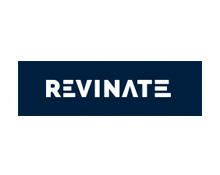 With mobile and desktop solutions, Revinate helps hoteliers connect with guests pre-, during and post-stay and easily collect and analyze customer feedback. Connect with guests authentically through smart segmentation, behavioral triggers, and personalized fields. Entice guests with room and amenity upsells while consistently delivering on expectations through an easy-to-use request center. Allow guests to enhance their stay with a seamless way to request room and amenity upsells integrated directly in email or transactional campaigns.